At family gatherings, there is always that one dish everybody looks for. 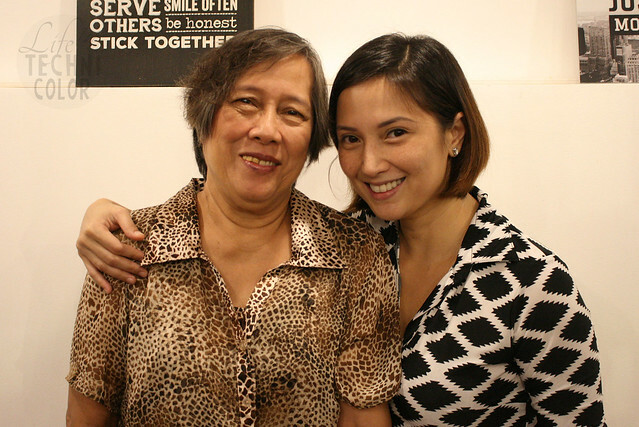 For the Padilla family, it's Lula (or Lola) Eugenia's kare-kare. 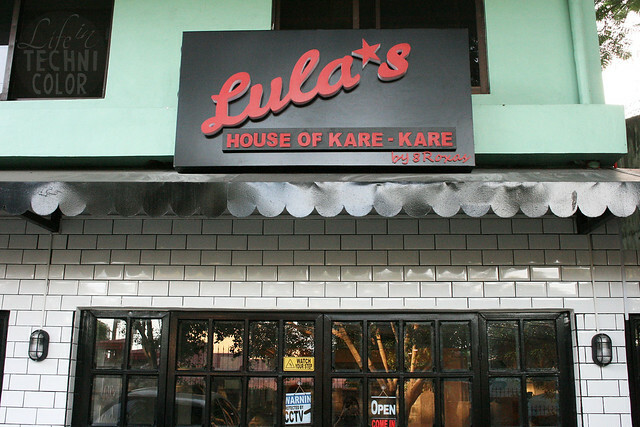 It's what led Rizza Padilla-Singson to open up Lula's House of Kare-Kare in Industrial Valley two months ago. 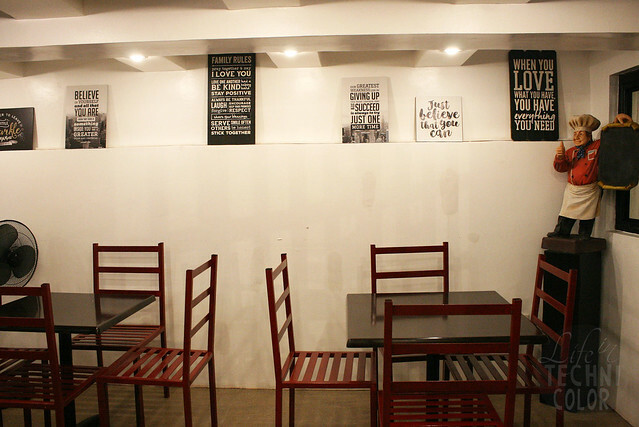 The restaurant is located at the garage of their ancestral home. It may be small, but it doesn't stop people from visiting. 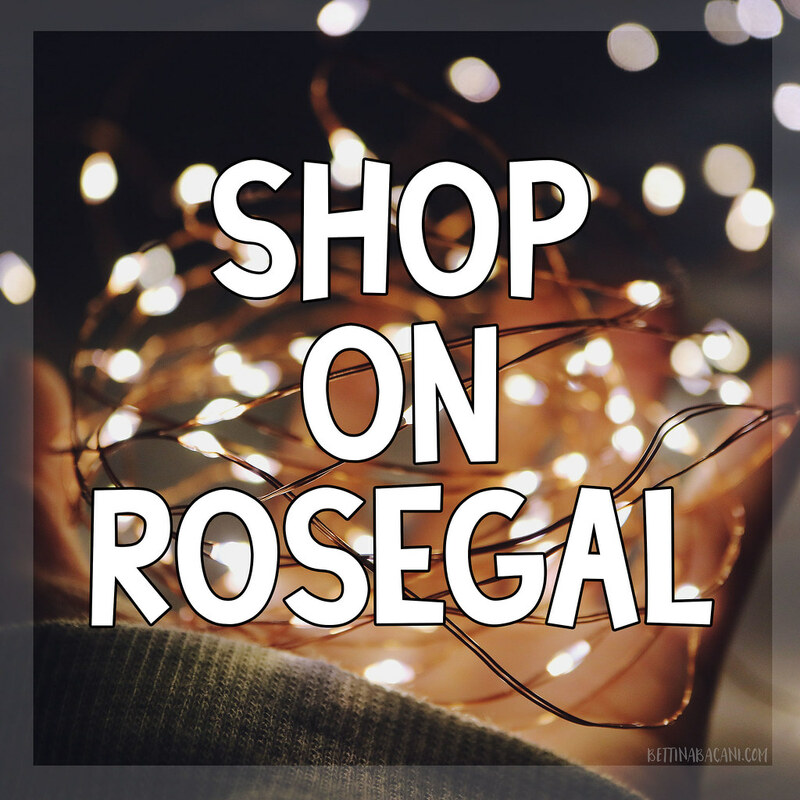 It gets especially busy during the weekends, so try to come early if you can. 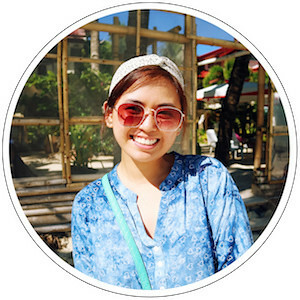 Rizza manages the restaurant herself, and from what I've seen and experienced first hand, she treats her customers as if they are guests in her own home. 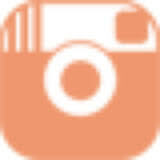 I don't know about you, but great customer service plays a huge factor in my book. 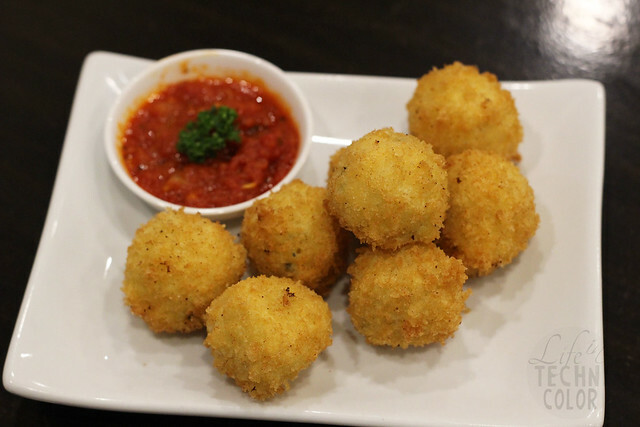 These mozzarella and cheddar cheese balls are crazy good. It's creamy on the inside and crunchy/chewy on the outside. I especially loved it with the tomato dip! 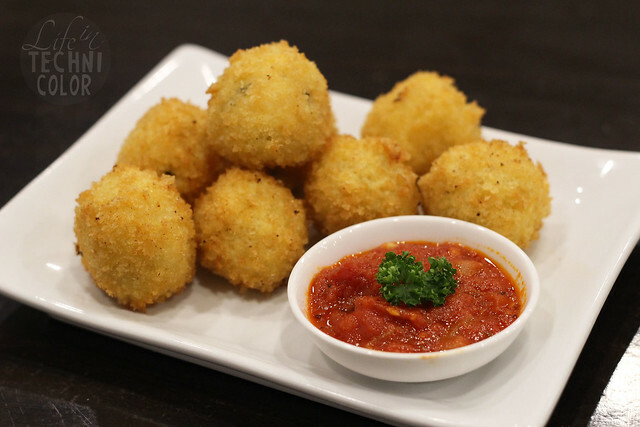 Their menu describes this as an "addicting version you can't resist," and they're right! After we took photos of this, we just ate and ate. We knew other dishes would be coming out of the kitchen soon, but we just couldn't seem to stop eating it. 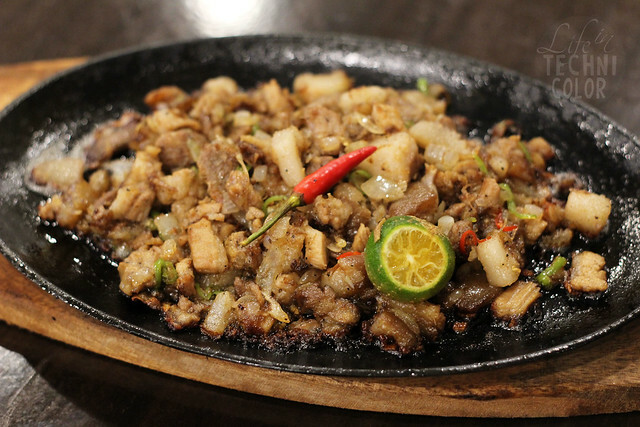 I liked its flavor, especially with the calamansi, and that it didn't contain too much fat (unlike other restaurants' sisig). 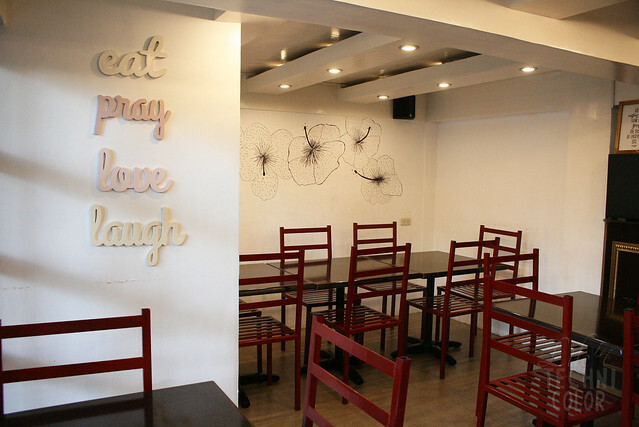 You can order a solo serving with rice for Php118 or a sharing portion for Php188. 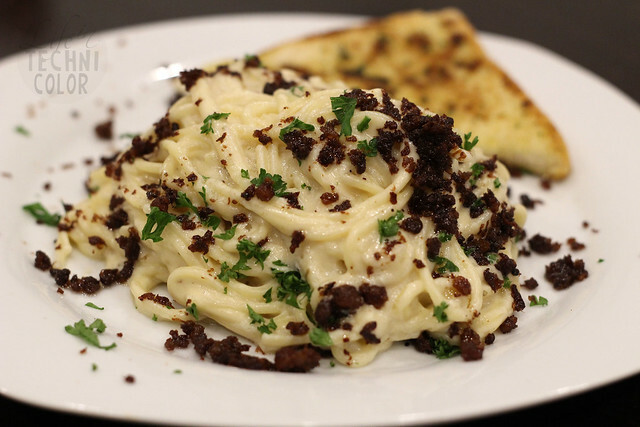 Their carbonara is like no other. 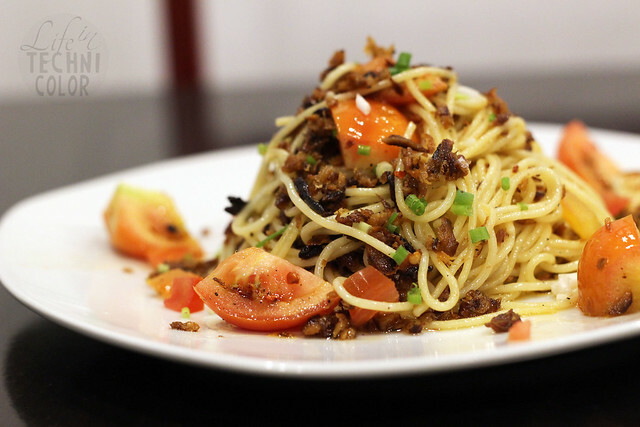 Here, they serve thin spaghetti noodles with a rich and creamy white sauce sprinkled with bits of their very own crispy Vigan longganisa. 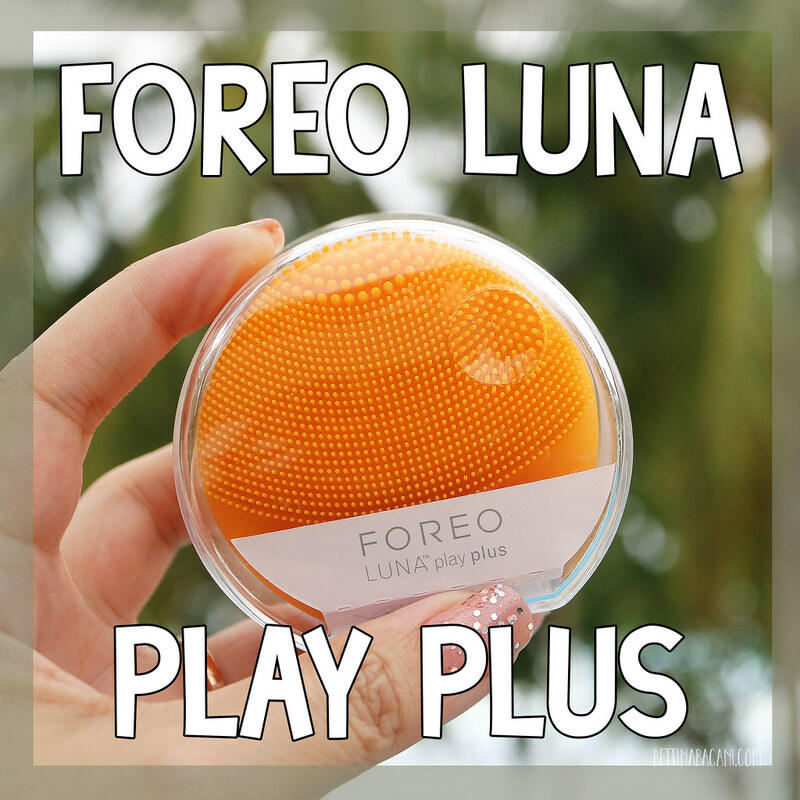 I didn't think much of this at first, but after trying it, I fell in love. 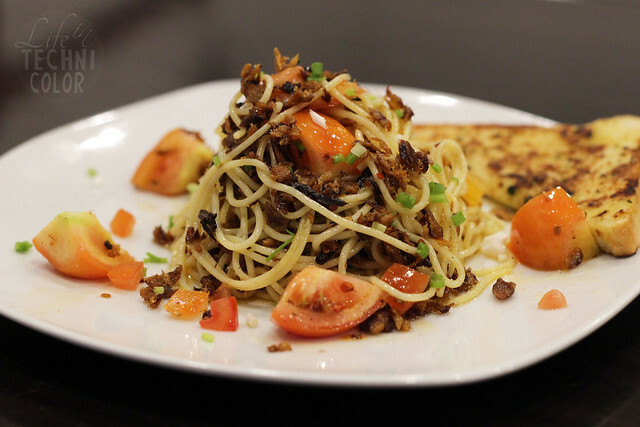 I'm glad they veered away from serving the regular carbonara-with-bacon-and-mushrooms - their Vigan longganisa is packed with flavor and goes well with the creaminess of the sauce. I hope they incorporate it in more of their dishes! 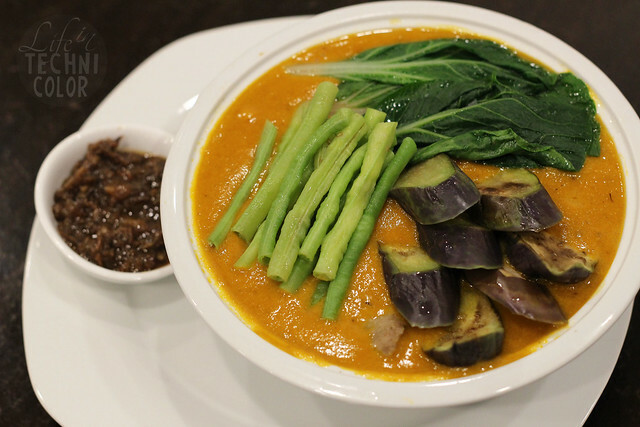 Of course, we couldn't leave without trying Lula's specialty - kare-kare! 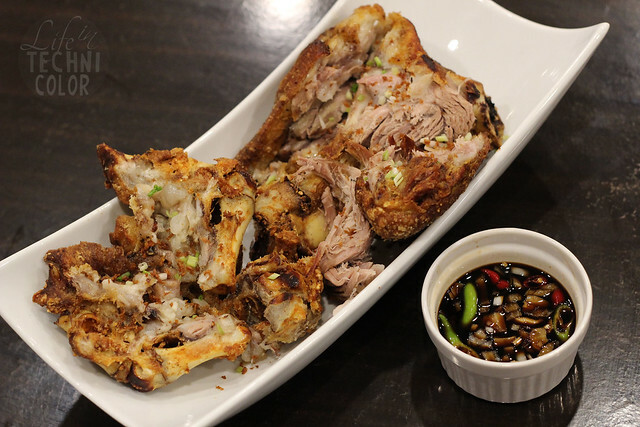 They have numerous versions, from all meat (Php408), all veggies (Php198), to crispy bagnet (Php428). 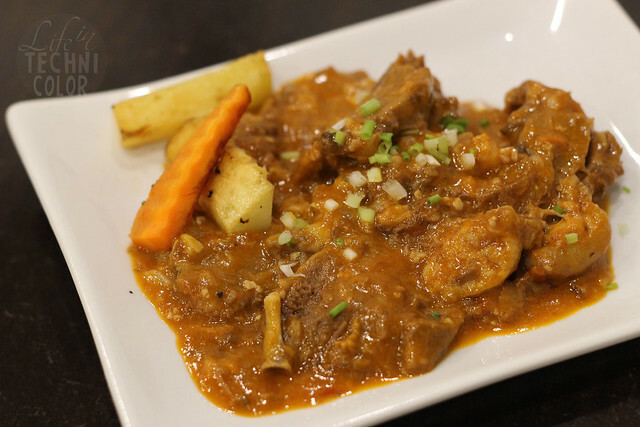 Preparing kare-kare takes a long time and at Lula's, they take no shortcuts. 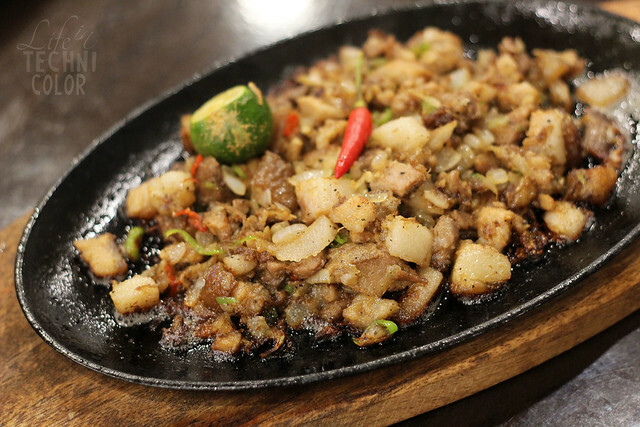 They proudly make everything from scratch, including the bagoong. 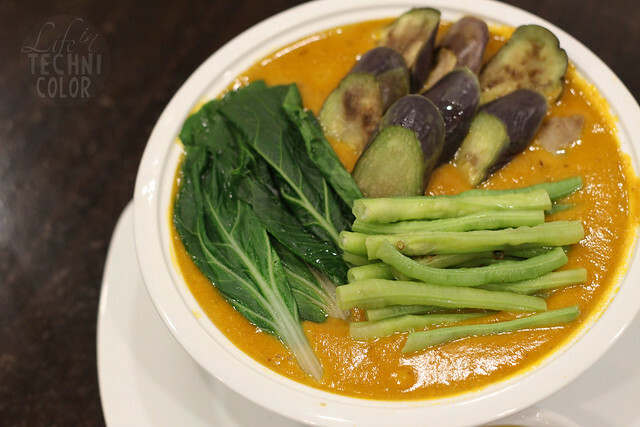 Their kare-kare reminds me of home because of its thick peanut sauce. 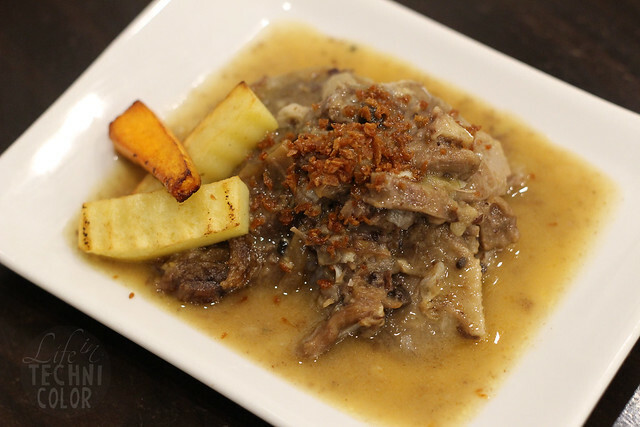 If you like yours sweet, you may choose to add peanut butter to your kare-kare for just Php40. Personally, I thought the kare-kare tasted better without the bagoong. I know that's strange since kare-kare and bagoong go together, but I guess the way they prepare it already has all the flavors I need. Lula's Beef Lengua (P288) comes in two versions - red and white. Between the two, I liked their ox tongue in red sauce more because it reminded me of caldereta and the sauce just went better with the meat. But if you're a fan of mushrooms and cream, the white sauce is a good option as well. 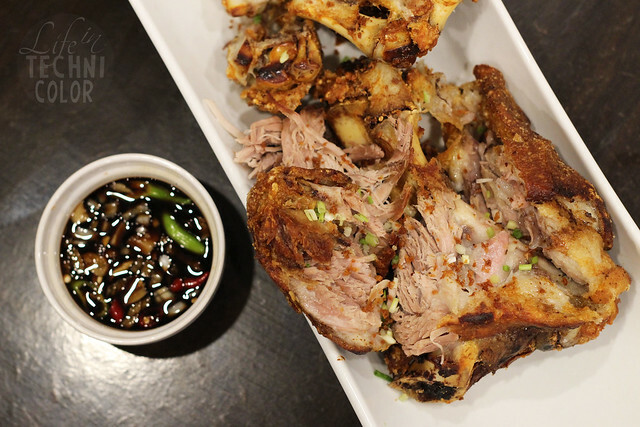 For the ultimate comfort food, order Lula's Crispy Pata It was crispy on the outside and succulent on the inside - exactly how crispy pata should be. Great serving portions at a price that's affordable. 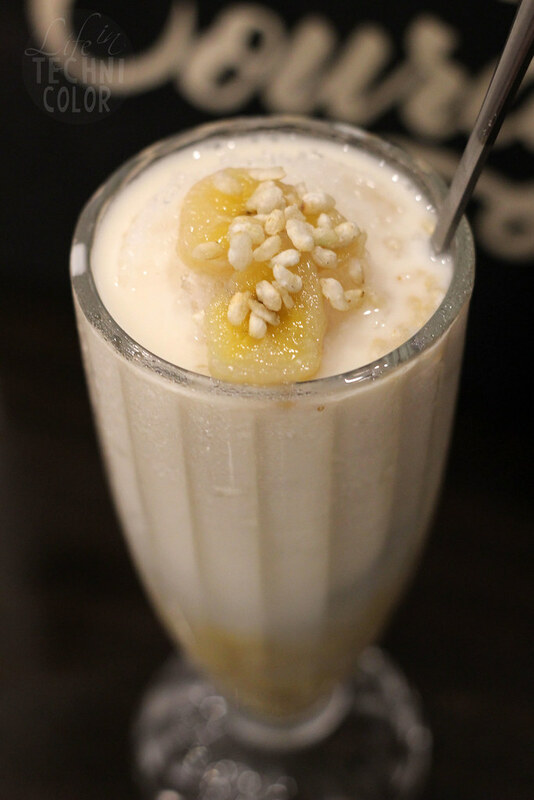 For dessert, I had the Mais while my friends ordered the Saba Con Hielo. 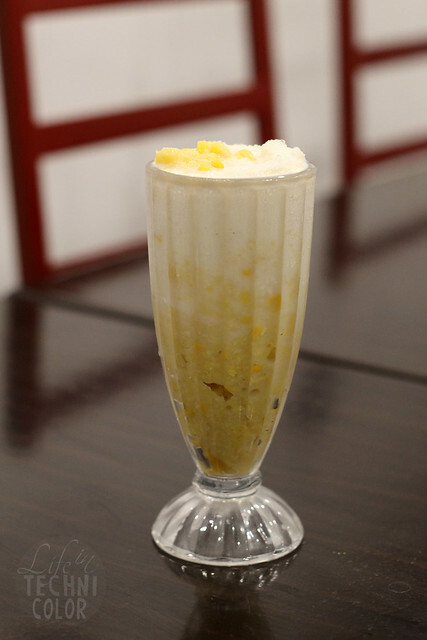 I liked how they incorporated crushed corn into the Mais Con Hielo to add texture to it, though I also suggested they try serving it with corn flakes. 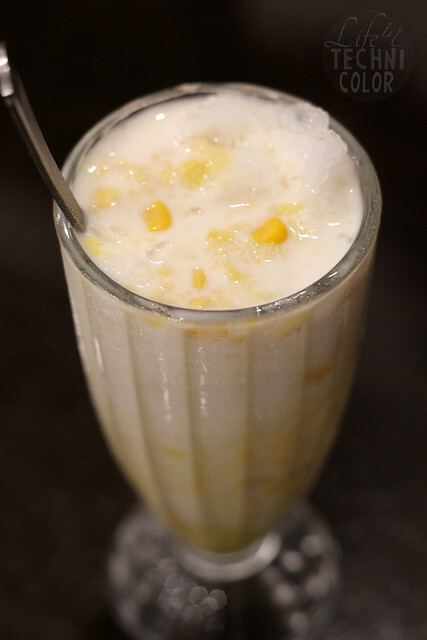 The Saba Con Hielo came with pinipig, and can be quite filling, so consider sharing one order instead when you visit. 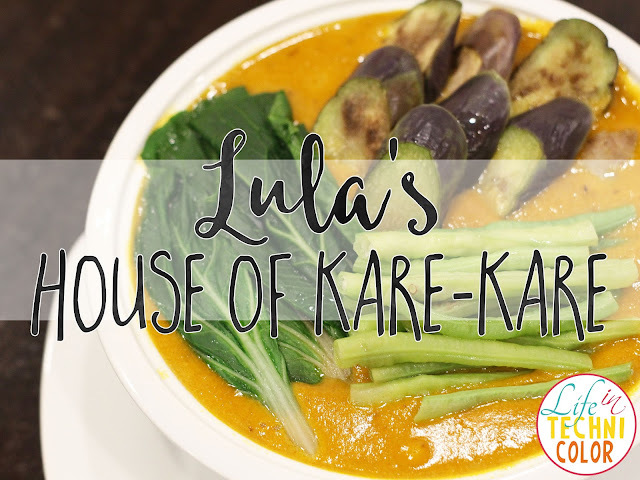 Lula's House of Kare-Kare is located at 8 Pres. Roxas Corner Major Dizon Street, Industrial Valley, Marikina City.